Manufacture products under our own brands and also do private labeling for other companies. ‘GOLDWIN’ belongs to a diversified business group that is headquartered in Mumbai and has it’s own manufacturing sites at Palghar that is 90 Kms. from Mumbai. 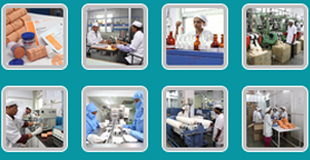 The Company started in 1987 as a ordinary Surgical Dressing factory and was taken over as a sick Unit in 1995. Today, it has grown to be one of the world’s leading manufacturers in the medical product segments of Wound care & Wound Management, Casting & Bandaging, Continence Care, Operation Theatre Products, Hygiene Wear & Care, Rehabilitation Aids, Patient Care Devices and Drug Re-packing.